Leish la’a? (Why not? 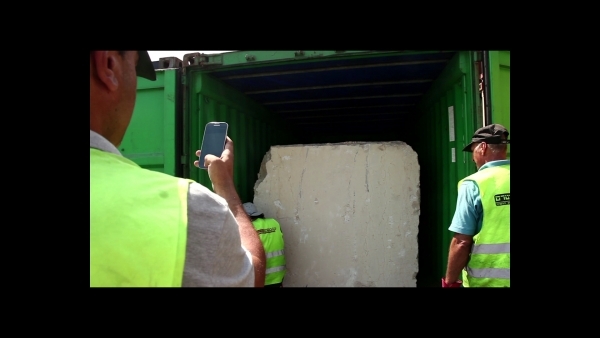 ), is a video piece that is part of the larger project The Artist and the Stone that reflects on mobility, desire, citizenship, globalization and restriction and which was presented at the Suñol Foundation (Barcelona) between November 2015 and January 2016. 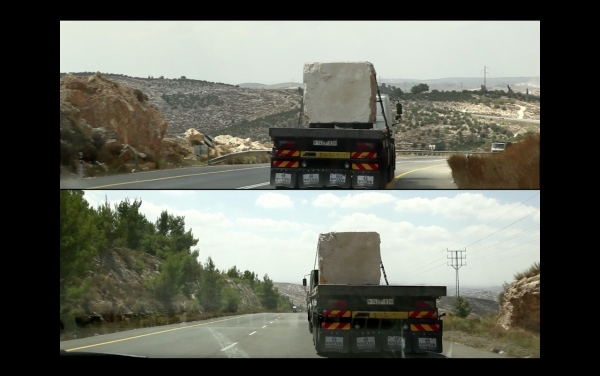 This is a project that deals with the movement of a subject (an artist Performer) and an object (a stone block 25 tons) from a refugee camp in the southern West Bank to the city of Barcelona. This video work aims to explore ways in which people facing restrictions and limitations in their daily lives, create their own languages and ways of expression. All these aspects invite us to reflect on how migration and temporary states influence the host country.